We conducted a set of carbonate experiments in the Chemo-MorphoDynamics (CMD) flume at the University of Texas at Austin to investigate the formation and evolution of a single-thread meander pattern without vegetation. These experiments successfully created a single-thread meandering pattern through chemical processes. 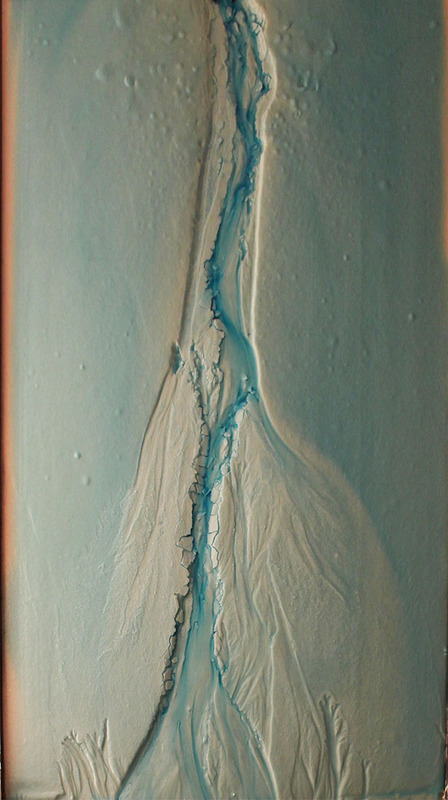 Carbonate deposits focused along the channel sides improved the bank stability and made them resistant to erosion, which led to a stream confined in a narrow path. The experimental channels showed lateral migration of the bend through cut bank and point bar deposits. Channel avulsion and chute cutoff were also observed. Please contact YeJin Lim (yjlim322@utexas.edu) to obtain full dataset.